Road trips can be really fun, but there are apps available that can make your road trips even better than you planned. Road trip apps are miniature programs that run on your cellphone that can help you better manage your time, money and trip planning while you are on the road. 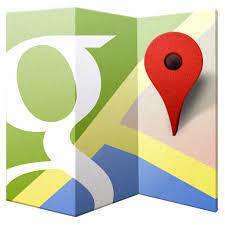 Google Maps is an excellent app that can help you get to precisely where you’re going without the need of traditional paper maps. Not only can you see maps on the Google Maps app, you can also type in where you want to go and be given a route of how to get there. The GPS feature inside the Google Maps app will tell you what freeway exits to take to get to your location and what turns to make as well. Another nice thing about Google Maps is that it’s available at no cost. If you’re curious about what the weather’s going to be doing while you’re on your road trip, consider getting a weather app for your smartphone. The Weather Channel app is a free app that allows you to see current weather conditions, both where you’re at now and where you’re going to be headed to on your vacation. You can also see what the weather is going to be like in the future for any location that you choose. The Weather Channel app provides detailed information as well, such as humidity, sunrise time, sunset time and wind speed. If there is a storm in your area, the app can also show you the storm as it moves through the location. Road construction is a part of life, but thankfully there’s an app that can show you where such construction will be located on your trip. The Waze app is completely free and can show you where road construction is going on and also if there are any car accidents that may delay your travels. Although most of Waze’s traffic information is based on the feedback of other drivers, a large number of people do use Waze, so chances are it may help you avoid slow driving conditions when you’re on your road trip. Speedometer-Free is a nice app to have on your road trip because every driver needs to obey posted speed limits while traveling. This free app will tell you if you’ve gone over the speed limit by making a very loud noise. No one wants to get a ticket for speeding while on a road trip, and Speedometer-Free can help remind you to keep the speed of your vehicle in check. The final app that is great for having while going on a road trip is GasBuddy. Gasbuddy is a free app that will inform you where the cheapest fuel is while you’re traveling. You may be surprised at how much money you can save on fuel costs by using this great app. What Should You Remember When Making A Conference Call?